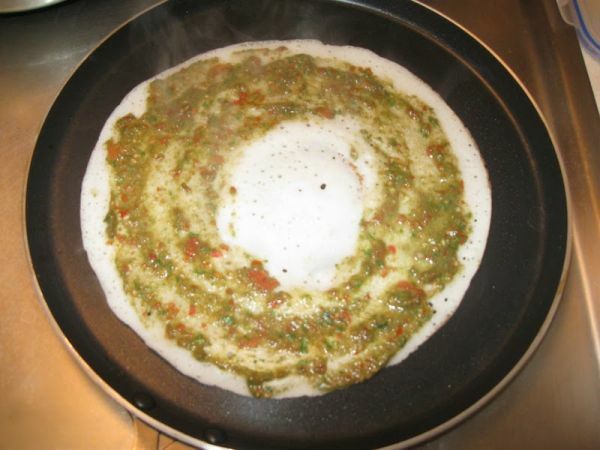 Dosa are south Indian rice/lentil based pancakes, made from a similar batter as idli (savoury cakes). They are popular at breakfast time to soak up a tasty coconut chutney or sambar (lentils based vegetable stew). As with idly, the ratio of rice to lentils (uril dal) is 3:1. Soak the ponni rice and uril dal for around 6 hours. Retrieve the two separate mixtures, disregard the water from each and grind each one separately to form a paste. Mix the two together and mix in around 250g of water, cover and leave at room temperature over night. The following day, retrieve the mixture and mix in 2 teaspoons of salt and around 3 tablespoons of water to make the mixture more liquid. Heat a frying pan and reduce heat to a simmer. 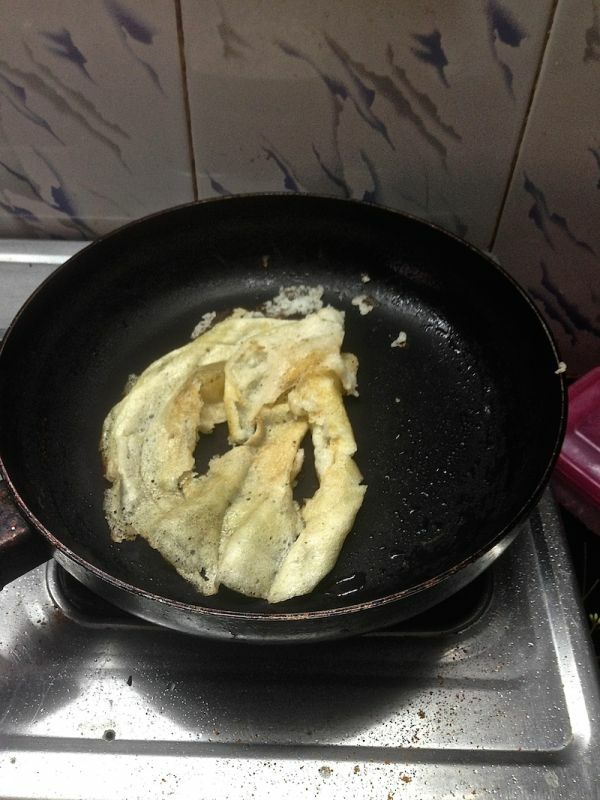 Put a tablespoon of ghee into the hot frying pan and spread with a kitchen roll. Take care to spread the mixture out carefully to avoid this happening! Drizzle a tablespoon of ghee around the dosa pancake for flavour and let it cook for a few minutes. Carefully turn the dosa over for the other side to cook for a few minutes. Remove when ready and repeat until all the batter is used up. Thanks Amy. That was one problem we found with Indian food, which is why we love Sri Lankan food – just as tasty, but without ghee and liberal usage of oil.